The state of New Jersey and its former governor, Chris Christie, had entered into a lengthy legal battle against the major professional sports leagues of the country to bring sports wagering options to the casinos in their state. 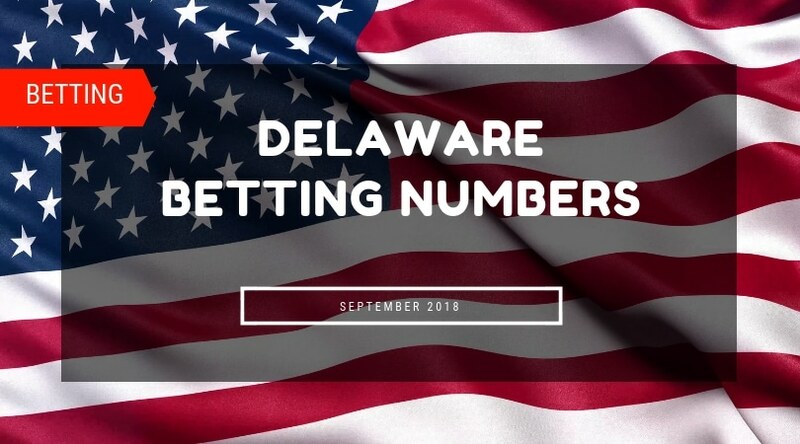 After several court defeats, not only did they manage to legalise sports betting in New Jersey, but also lift the federal ban on sports betting for rest of the country; making it possible for other states to offer their own sports betting provisions if they chose to do so. The decision was released on the 14th of May 2018 by the Supreme Court of the United States (SCOTUS). Since the verdict was issued, several states have gone on to establish their own sports betting regulations. A number of other states are on the verge of launching their sports betting operations in the near future, while even more are still weighing out their options. New Jersey managed to launch their sports betting offerings quickly after the Supreme Court decision. They had a successful first month in their physical casinos and now have gotten even quite a few online sportsbooks up and running. DraftKings Sportsbook, the new sports betting venture of the former Daily Fantasy Sports (DFS) company, DraftKings Plc. has established their presence in the state. On top of that, they were the first mobile platform to launch in New Jersey. They went live in the state on the 1st of August 2018 and it held a monopoly on the market for more than three weeks. FanDual Plc., which remained the main rival for the DFS site, DraftsKings, has recently merged with Irish bookmaker. Since the repeal of the federal sports betting ban, FanDuel have signed into a partnership with Paddy Power Betfair. Both the companies have much to gain from each other in the budding U. S. market. FanDuel’s sportsbook is simply called The FanDuel Sportsbook. They launched in New Jersey a few weeks after DraftsKings. SugarHouse Casino is an entertainment development in Philadelphia that was awarded a gaming license in 2006. The online division of the parent company, Rush Street Interactive, signed a deal to integrate sports betting into its online platform. Rush Street Interactive partnered with Kambi Group, a sports betting service provider, to integrate sportsbook technology into their online gaming platform. Kambi Group has a wide global presence and is ready to set up shop in new states as they finalise their sports betting regulations. Sugar House Sportsbook launched in New Jersey on the 23rd of August 2018. It was the third online bookmaker to launch in the state since the sports betting ban was lifted. Caesars Casino partnered with Scientific Games to launch their online and mobile sportsbook in New Jersey. The service that has been named Caesars Sports Betting is powered by Scientific Games' OpenBet Technology and opened online sports betting at Bally’s and Wild Wild West on the 30th of July 2018. The service was expanded to Harrah's Atlantic City a couple of days later on the 1st of August 2018. They also managed to introduce mobile betting in the state, just before the NFL season, on the 6th of September 2018. 888 Sport, being one of the best recognised brands in the world, launched in New Jersey on the 10th of September 2018, using Caesar as a jumping off point. They were the seventh company to enter the internet sports betting market in the state. BetStars is a mobile sportsbook that has incorporated sportsbook functionality into its existing PokerStars NJ platform. PokerStars is the largest online poker room in the world and started offering online sports betting services to their New Jersey customers from the 13th of September 2018. This was the result of a deal signed between the Stars Group and Resorts Atlantic City. MGM Resorts International launched playMGM, a real- money New Jersey online casino site that has been set up in collaboration GVC Holdings Inc. The playMGM New Jersey online casino site launched with more than 200 online slots and a variety of popular online casino games. The playMGM sports betting app also went live in New Jersey on the 22nd of August 2018. William Hill snuck its app onto the market right around the same time as FanDuel. At the start, their NJ product was made available exclusively on Android devices. Just before the New Jersey launch, William Hill’s existing Nevada sports betting product added an “NV” to its title, indicating the imminent launch in other states. William Hill has been especially busy on the retail side of things, operating sportsbooks in every state that has legalised sports betting. However, nowadays, an efficient mobile platform is essential for a sportsbook to set itself apart from the rest. Casinos and racetracks in the state are permitted to form up to three online partnerships each. As it is evident, most of these businesses have taken advantage of this allowance and many online casinos have set up shop in the state. However, it is important to note that in order to establish a presence over the internet through an existing gaming license, each casino has to set up a physical sportsbook in the state first. Eight New Jersey casinos and racetracks have retail sportsbooks at the moment. Resorts Casino Hotel Atlantic City was not only the first casino hotel in the area, but also the first to gain legal status outside of Nevada. The casino has multiple sports betting partnerships under its belt. One of the recent partnerships they have formed involves DraftKings Sportsbook. The company was the first to officially enter the legal online sports betting market in the state with its website and app. The DraftKings Sportsbook held a soft launch for their product on the 1st of August 2018. After five full days of trial, they held their full launch on Monday, the 6th of August 2018. Their app and web browser based online sportsbook platforms are both fully functional. They offer a wide variety of traditional and in- game bets for their players. DraftKings Co- Founder, Matt Kalish, was very excited to be able to bring sports betting options to New Jersey residents, when they launched their sports betting product in conjunction with Resorts Casino and Kambi. DraftKings Sportsbook may be the most recent to form a relation with Resorts Casino AC, but they are not the only one the casino is affiliated with. Resorts has been the most active of the casinos in the city. They are the first to have actually formed online sports betting relations with three different brands, the maximum allowed under the New Jersey rules. Earlier last month, they expanded their long standing relation with The Stars Group, parent company of PokerStars, to include their sports betting offerings – BetStars Sportsbook. The two entities have years of experience working with each other. Resorts Casino AC offers NJ online poker and casino platforms under the PokerStars brand. The BetStars sportsbook launched on the 13th of September 2018 in the state. BetStars joined PokerStars NJ and PokerStars Casino to form a comprehensive platform under the Resorts Casino license. Matt Primeaux, the Senior Vice President of Strategy & Operations at The Stars Group USA, highlighted that the Star Group was a global brand. Their sports betting product was already a success in Europe and they would be bringing the same services to New Jersey. Richard Carter, the CEO of SBTech, said that this partnership with Resorts Casino will not only allow them to bring the best consumer protection policies into the state, but also allow them the next level of access into the U. S. gambling market. Resorts Casino is yet to launch a self- branded online or mobile platform for their sports betting needs. Borgata Hotel Casino & Spa, which has a long track record of reigning in the highest revenues in New Jersey, launched a sportsbook on its property on the 14th of June 2018. Locate in the Marina District area of Atlantic City, the beautiful property started offering online wagering options, a little more than two months later. They entered the online sports betting market via a standalone playMGM sports betting app. Adding the playMGM app under Borgata’s license allows the company to compete in the only online sports betting space outside of Nevada. The company released a statement explaining how the app will function with a single wallet, allowing players to shift money between games. Borgata is using its existing racebook as a temporary, hybrid space on their property to offer sports betting services. However, it has been said that they have expansion plans are on the horizon. Back in December of last year, MGM had said that the property would invest USD $7 million in a new standalone sportsbook. However, they did not mention any timelines for this, so it is uncertain when they expect to begin work on these renovations. Borgata Hotel Casino & Spa is currently fully owned by MGM Resorts International. They offer mobile betting services in Nevada through playMGM as well. While the brand operated an NV and NJ version of the app, the products work completely separately for now. At the same time, MGM has formed new partnerships with GVC and Boyd Gaming as well. These are certain to lead to additional branded sports betting apps and sites in multiple states around the country in the future. Golden Nugget Atlantic City, which opened its doors to customers in 2011, has a couple significant partnerships in place with online and mobile operators. However, once again, the implementations of these partnerships are not fully clear. The Golden Nugget Casino does have a land- based sportsbook. It is a permanent space that opened just in time for this year’s football season. The Nugget has also signed a deal with Rush Street Gaming, which operates the PlaySugarHouse NJ online casino. Sugar House added sports betting to the platform on the 23rd of August 2018. They were the third company to go online in New Jersey. The Sugar House Sportsbook is available to players across the entire state on both desktop and mobile devices. The Sugar House sportsbook is a full- featured product offering a wide variety of sports and bet types. They issued a press release where they boasted having the newest and trendiest features for NJ operators at the time of the launch. Earlier in the year, in May, Churchill Downs announced that it had entered into partnerships with both the Golden Nugget and SBTech. This was their way into the New Jersey gambling market. It has not been announced whether this is a turnkey partnership or just a skin deal. Additionally, they have not announced any launch dates. There seems to be no real rush, it is most likely to open early next year. Golden Nugget operates their very own live and virtual sportsbooks in Las Vegas; So, it is unlikely that they will need to hire a new supplier for the rest of their online betting needs. It should be noted, however, that their ties with the Houston Rockets will disqualify them from taking bets on any NBA games in New Jersey. Monmouth Park Racetrack began making plans for sports betting way back in 2013. Monmouth Park is one of three horse racing tracks in the state. They implemented a sportsbook when the laws were changed and took the lion’s share of sports betting revenue, in June of 2018. The racetrack secured a partnership with British heavyweight, William Hill. The William Hill mobile sports betting app had its soft- launch in New Jersey on the 2nd of September 2018. After years in the making, the property opened the state’s first sportsbook on the 14th of June 2018, exactly a month after the sports betting ban was lifted. It was on the same day that they printed their first legal ticket in New Jersey. The current Governor of the state was on site at the time to christen the NJ sports gambling industry. He placed a bet on the World Cup to inaugurate the sports betting facility. The partnership with William Hill may prove profitable for the racecourse in the long run within the digital realm. The sportsbook, which is based in the UK already has a strong presence in the U. S. With an American arm firmly in place, William Hill is richly equipped with the necessary resources. Their U. S. team already operates in Nevada and has their own long running Nevada Sports Betting app. It is very likely that the company will be bringing the same technology and methodology to their operations in New Jersey. While Monmouth Park is yet to release a launch date for their internet and mobile betting options, they are unlikely to waste any time unnecessarily, especially given how quickly the Atlantic City casinos are making their mark in the virtual betting arena. The Meadowlands Racetrack in East Rutherford, is the ideal location to set up a sportsbook. The racetrack which is located only 6 miles from New York City, lives in the shadows of MetLife Stadium, which is home to the New York Giants and Jets. In addition to the flow of sports fans from the stadium, the property enjoys customers from both the states of New York and New Jersey. Owning a sportsbook near the border became increasingly more attractive when it was announced that plans to legalise sports betting in the neighbouring state has been adjourned till next year’s legislative session. This also gives Meadowland a chance for form a loyal customer base without competition in the meantime. Meadowland has put together an ambitious plan for their sports betting. They have entered into a long- term partnership with Betfair U. S., which is the domestic arm of Paddy Power Betfair. The FanDuel Sportsbook, which was born out of the merger of DFS company, FanDuel Plc. and Paddy Power Betfair, opened at the Meadowlands Racetrack on the 14th of July 2018. Jeff Gural, the Owner of Meadowlands racetrack fast- tracked the launch of Meadowlands’ sportsbook, after New York legislators failed to pass sports betting regulations in time. While the opening had originally been scheduled for a day later on the 15th of July 2018, moving it ahead to the 14th of July meant that it fell on the same day as the annual Meadowlands Pace, which typically draws one of the larger crowds of the Meadowlands’ racing season. Kip Levin, the CEO of Betfair U. S., said in a press release that Meadowland could become the best sportsbooks in the country, given their geographic location and clever partnerships. Online and mobile betting facilities were not ready on day one, but executives have confirmed that the wait would not be too long. The online and mobile platform, which is branded as a FanDuel Sportsbook launched earlier this month on the 1st of September 2018. On the Boardwalk, the new Ocean Resort Casino, which was formerly known as Revel Casino Hotel Atlantic City, is another place that is accepting sports wagers right now. It was the third of four Atlantic City casinos to close in 2014. However, after several failed attempts, the property finally became the first casino to open in A. C. in 6 years. When Bruce Deifik bought the property, he announced that he wanted it to be the “best in market” for sports gambling. Although the casino is new, they seem to be hard at work to make good on Deifik’s word. Their brick and mortar sportsbook opened for business on the 28th of June 2018, occupying a large area of the former nightclub. While it is partially open, the facilities still under construction. The sportsbook at Ocean Resort is also powered by William Hill U. S, which means they are stuck in the same boat as Monmouth Racetrack. No timeframe has been announced for the launch of the online/ mobile provisions, but it is likely not to be too far off. Hard Rock Atlantic City, which came to exist after a name change and heavy renovation of the old Trump Taj Mahal, is just a few strides along the Boardwalk from Ocean Resort. Hard Rock was the second casino to open in Atlantic City this summer and at the grand opening in June, Chairman Jim Allen confirmed that Hard Rock would definitely have their own sports betting offering. Due to their relationship with the NFL and the Miami Dolphins, Hard Rock AC will have to face some additional restrictions with regards to their sports betting provisions. Hard Rock will need a third party to manage all their betting action. In July, some documents disclosed a new partnership between the casino and European betting giant, Bet365. The company is based in the UK and has a massive global outfit. Hard Rock will serve as their entry point into the U. S. market. Their mobile app is set to hit the virtual shelves in the near future, although a date has not been set. However, the deal with Bet365 will not be of any use to the casino until they sign someone to make their books and activate that partnership. Regulations stipulate that casinos cannot offer online wagers unless they offer sports betting on the property first. While the brick- and- mortar operations do not need to be supplied by the same licensing partner, they have to exist. It is not clear who will fill the role of supplier/ operator for Hard Rock AC but they do have a relationship with B2B gambling giant, Gaming Innovation Group (GiG). The Hard Rock NJ online casino is already powered by GiG, which recently added bookmaking to its list of services. Hard Rock also struck a deal with the European company, Kindred Group, the parent company for Unibet. Kindred announced in August 2018 that they had reached an agreement with Hard Rock Atlantic City to offer online sports betting to their players in New Jersey. Caesars Entertainment Corp. has opened two temporary brick- and- mortar sportsbooks in New Jersey. One is located at their Bally’s AC property, while the other is at Harrah’s; the former also serving as its eponymous casino on the Boardwalk. The company announced a new partnership with Scientific Games for their sports betting needs. The company will supply Caesars properties with their gambling tech at New Jersey and Mississippi. Scientific Games will support both retail and mobile operations for these properties. SG Digital also supplies sports betting in Delaware casinos and powers much of the NJ online casino market. Caesars added sportsbook functionality to its existing NJ online casino app on the 6th of September 2018, mere hours before this year’s NFL kick off. They conducted a 5 day soft launch before moving on to a full launch. European operator, 888, also entered the New Jersey online sports betting market under the Caesars casino license. They launched four days after the Caesars NJ app, on Monday the 10th of September 2018, and became the seventh company to enter the increasingly crowded marketplace. 888 also started with a 5 day soft launch before their product was given the green light for a full launch. In a press release, the Chief Executive of 888, Itai Frieberger, mentioned that the company was well- positioned to succeed in New Jersey and other states in the country. The 888 Sportsbook joined the company’s existing NJ online casino and NJ online poker platforms that are already active in the state. Eldorado Resorts runs the gaming operations at Tropicana and have recently entered into a partnership with British bookmaker, William Hill for operations. According to media reports, William Hill and Eldorado will bring legal sports betting to up to 21 casinos across the country, under this agreement. The deal reportedly gives Eldorado a 20 per cent equity stake in William Hill’s U. S. operation. Eldorado will also receive more than USD $64 million in restricted stock in William Hill, over the next five years. However, the timeline for rollout of a digital sportsbook for Tropicana is still up in the air.